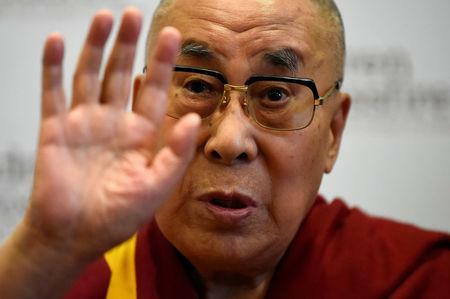 DHARAMSHALA, India (Reuters) - The Dalai Lama, the spiritual leader of Tibetan Buddhism, said on Monday it was possible that once he dies his incarnation could be found in India, where he has lived in exile for 60 years, and warned that any other successor named by China would not be respected. "China - great nation, ancient nation - but it's political system is totalitarian system, no freedom. So therefore I prefer to remain here, in this country."